Cowpea is a popular crop and staple food in West and Central Africa. The problem: It’s also popular with bugs, making storage a major headache for farmers in the region. 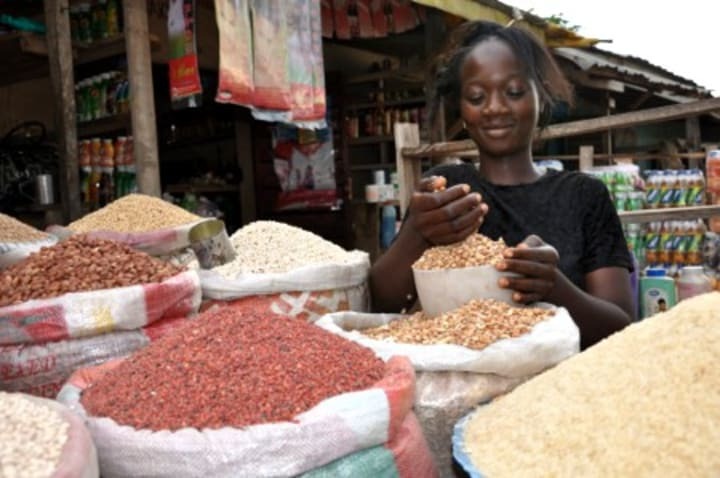 That is, until the introduction of an innovative storage material that now allows farmers to safely store their cowpea harvest for six months to a year. Quality storage for harvested crops is a common problem in small farming villages in Africa and elsewhere in the developing world. While big farming companies in rich countries have their sophisticated storage facilities, most small farmers have to make do with temporary sheds or even corners in their own houses – not exactly the airtight, dry and temperature-controlled environment needed to keep pests away. This hasn’t escaped donors and aid agencies. The World Food Program, for instance, provides metal silos to farmers in Nicaragua, among other countries. The Bill & Melinda Gates Foundation, meanwhile, funded the development and distribution of a simpler storage solution for West and Central African farmers: the airtight Purdue Improved Cowpea Storage, or PICS, bag. The PICS bag is a cheap three-layered bag that can stop the growth of the cowpea-loving weevil larvae and eliminate the need for harmful, oftentimes poisonous, pesticides. The bags comprise two inner high-density plastic bags and an outer layer of nylon sack. Each bag can be tripled tied to make sure it’s airtight. It’s a simple innovation, true, but one that has had a significant impact. Farmers in the region are able to keep their harvest fresh for a longer period of time. This means bigger incomes for farmers because they can wait until prices go up to market their produce, instead of selling right after harvest season, when prices are usually at their lowest. And the bags are very popular, too. The U.S.-based Purdue University, which developed the bags, has sold more than 1 million pieces of the $2-apiece bags since 2007. By 2012, it expects to encourage up to 1.7 million households in West and Central Africa to use PICS bag for their cowpea storage needs. And the university is now looking at the possibility of using the bag for other kinds of crops, an initiative backed by a new $1.1 million grant from the Gates Foundation. Simple, cheap and easily distributed. This innovative product appears very similar to the once-experimental, now-popular anti-malaria bednets, which like the PICS bags are especially designed to address a specific challenge faced by people in the developing world. Check out last week’s #innov8aid and read more on food security.